An accelerated One or Two Day 8-12 hour intensive anger management class (Two day classes are 4 hours each for an eight hour requirement; 6 hours each for a twelve-hour requirement and must be completed within consecutive days or weeks). Hourly individuals may opt for our Wednesday evening group class or for individual one-on-one sessions as opposed to a Saturday class or the 8 & 12 hour intensive sessions. We will do our best to accommodate each client and their individual needs. INDIVIDUAL (1-ON-1) SESSIONS FOR HOURLY & WEEKLY CLIENTS: By appointment only; 9:00 AM- 8:00 PM Mondays, Tuesdays, Wednesday, Thursdays, Fridays & Sundays for 1-52 weeks (as personally required)- Call to discuss your needs. ONE DAY (8 HOUR) SATURDAY CLASS: This is a group class designed only for hourly mandated individual or for volunteers;This class fulfills an 8 hour requirement in one day- $200* ($25 per hour) (More Info Here) Next Saturday Classes: January 26th, February 2nd, 9th, 16th, 23rd and March 2nd! “SUPER SUNDAY” 8 HOUR CLASS: This group class is prepay only and held on the LAST SUNDAY of each month. This class is held for those that cannot attend our one day Saturday anger management Classes. Seating is very limited, so call now to reserve your seat –$200.00* Our Next “SUPER SUNDAY” Class will be held on January 27, 2019 !! !… CALL NOW!!! 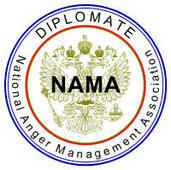 INDIVIDUAL (1-on-1) 8 or 12 HOUR ACCELERATED ANGER MANAGEMENT: Designed for individuals who wish to avoid group situations. Call for schedule availability- $400.00 (8 hours)-$600.00 (12 hours). TWO SESSION INTENSIVE ANGER MANAGEMENT SESSIONS: For our busy clients that cannot do hourly classes, or a full day class, but would like to complete their hourly class requirements quickly – $200.00 (4 hours per session) – $300.00 (6 hours per session)- $400.00 (8 hours per session)…Two Session Intensives must be completed within two consecutive days or weeks. Please contact us for an appointment and for your scheduling needs. Call (404)437-9977 to register for class.